Trump In Texas: "What A Crowd! What A Turnout!" - Joe.My.God. 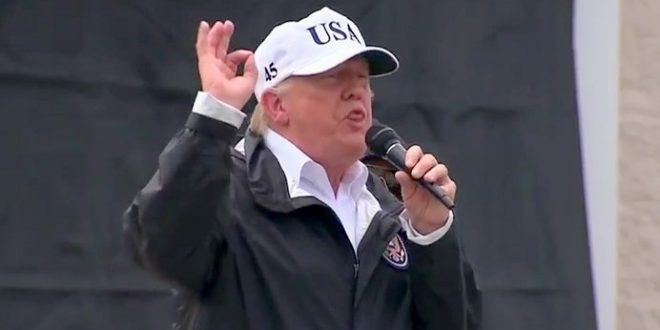 During his visit to Texas in response to Hurricane Harvey, President Trump told a crowd gathered outside a Corpus Christi firehouse, “What a crowd! What a turnout!” according to media reports. Trump had met with local officials inside the firehouse. Corpus Christi was among the cities hard hit by the Category 4 storm.